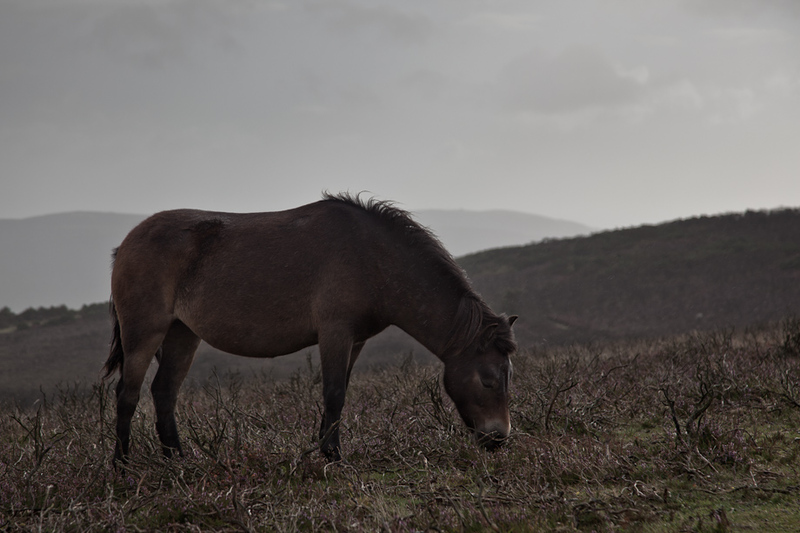 An Exmoor pony from the Exmoor National Park in UK. We had the pleasure to spend the morning this fantastic place among the “wild horses”. The Exmoor pony is a native horse breed on the British Isles, where some still roam on Exmoor. The weather was not that great with strong wind and some light rain but for a great image the weather was actually good. The soft light made it possible to get an images of the horse with some great details. When the image is enlarged the rain shows again the dark pony adding some great detail in the photo. The horse pictures was captured with the Canon 5D Mark II and the all-round zoom the Canon 24-105mm f/4 Zoom lens.